Hello everyone! If you don't follow me on twitter/tumblr, I wanted to let you know that I've edited the entirety of chapter 13 (did I ever announce here that I edited chapter 12 too? 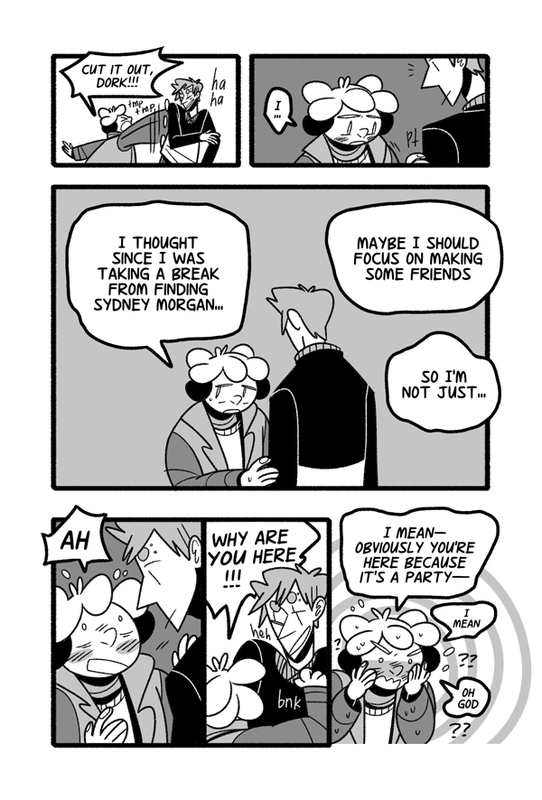 uhh) so if you're interested in a re-read, I've tried to make some dialogue clearer, finished some untoned pages, and fixed a few wonky drawings! Also, I'll be on vacation from the 3rd-18th so I uploaded all the thumbnails for the pages up until the update for Friday the 20th (5 pgs after this update!!!!) onto my Patreon for $5+! If you wanna see what happens next, check it out. :D Here's an example of the quality of my thumbnails. Thanks and see ya Friday!